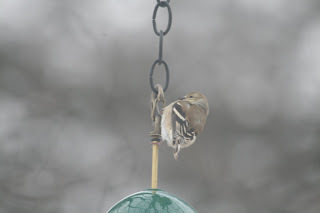 We had several chickadees visit today. The squirrels are trying to figure out how to get into the feeder. They climb down the chain, but once they get to the dome over the seed, they slide off (it’s not a long fall). 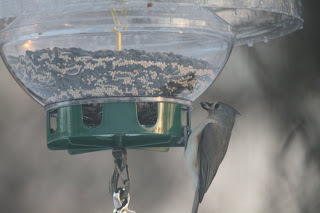 It works out well for everyone as the squirrels shake lose enough seed from the feeder that they can get it from the ground, while the birds still have access to feeder. Everyone eats! 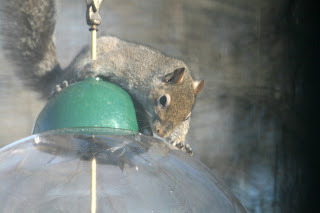 This entry was posted in squirrels and tagged gray squirrel on December 29, 2008 by admin. We spotted six juveniles sitting in trees along the river today. Here’s four hanging out. Click on picture to enlarge. 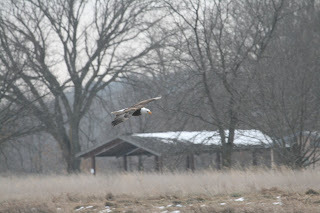 This entry was posted in eagles and tagged eagles, kaw river, nest on December 26, 2008 by admin. This entry was posted in Uncategorized on December 26, 2008 by admin. 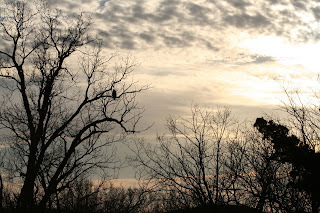 This entry was posted in eagles and tagged eagles, sunset on December 25, 2008 by admin. 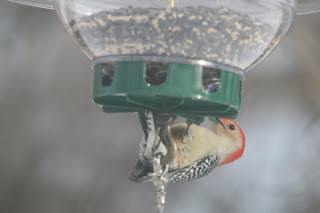 This entry was posted in cardinals, woodpeckers and tagged northern cardinal, red-bellied woodpecker on December 25, 2008 by admin. This entry was posted in eagles and tagged eagles on December 24, 2008 by admin. 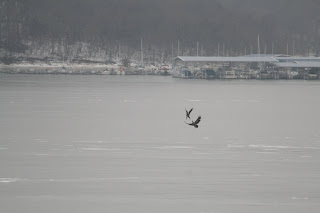 It is truly amazing, a great gift, to see so many eagles hanging out on the ice and near the spillway where the water is not frozen. Click on pictures to enlarge. 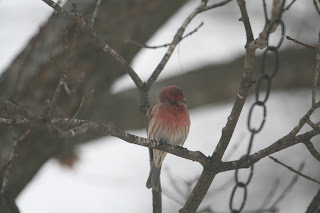 The squirrels and the birds have no problem cooperating. 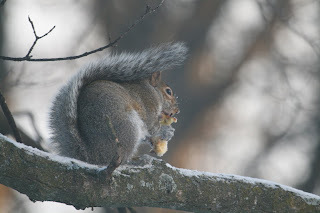 The squirrels and ground-feeding birds eat the seed on the ground that the “clinging” birds knock down. I give them a little help by spreading a few seeds on the ground. 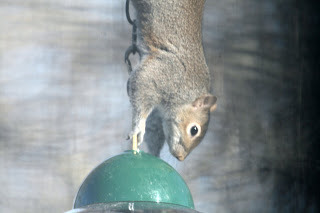 So far, the squirrels have not been able to knock this feeder down, so it works out for everyone. We also throw out apple cores. The squirrels love them. Click on pictures to enlarge. 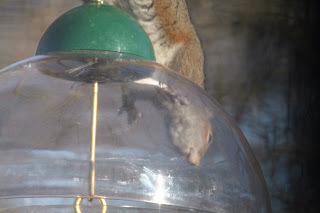 This entry was posted in squirrels, titmice and tagged gray squirrel, tufted titmouse on December 24, 2008 by admin. This entry was posted in Uncategorized on December 21, 2008 by admin. 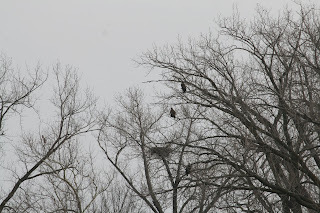 The Bald Eagles are Back!!! 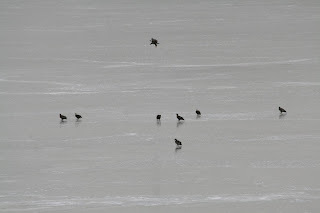 We saw several perching and flying up and down the spillway on Friday and Saturday. 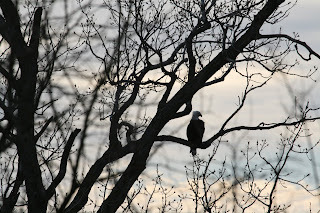 When I write about my love for bald eagles, I always feel I need to clarify what I love about them because I am weary of the symbolism attached to them and the emptiness of the label “national symbol” while they are being driven to extinction. Yes, they are powerful, but they are also shy. I love their grace and their thoughtfulness. They are amazing parents who share equally in the responsibility and feeding of their young. 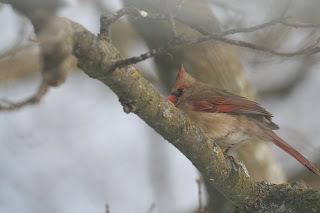 They will sit on the nest protecting their young even when the very structure of that nest is threatened by blizzard or tornado. While I love these things about them, I must add that I am truly amazed and in love with all of nature. Every species is unique and wonderful. 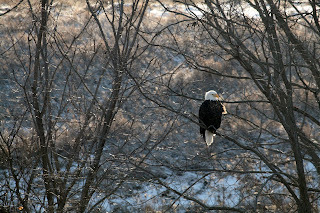 While I feel a connection to bald eagles that I cannot quite explain, it is not a longing to fly, a need to attach a “great nation” or power symbol to them, or a desire to watch them hunt and kill because “that’s cool.” Like many other nonhuman animals, they have meaning attached to them that I imagine they neither understand or care about. As we get further away from DDT (and a few other chemicals) and through conservation efforts, bald eagle numbers are increasing each year. 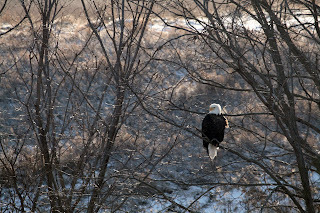 While the return of bald eagles is amazing and should be celebrated, we must also keep in mind that it is only a matter of time before they are threatened again because we humans cannot seem to get it through our heads that we’re all connected. Professing to worship the bald eagle as a national symbol while poisoning the water and destroying habitat isn’t working out too well. Click on picture to enlarge. This entry was posted in eagles and tagged eagles on December 21, 2008 by admin.